The School of Social Sciences, along with the Language Technologies Unit at Canolfan Bedwyr, are working on several research projects looking at the use of the Welsh language on digital platforms. The way we use mobile phones, tablet computers and the web in general is changing the way we access information and online content. As a result, two students from the School of Social Sciences have received KESS scholarships for research in this area, working in partnership with well-known commercial companies. 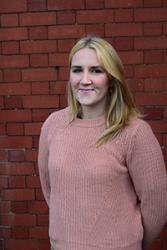 Natalie Jones has been sponsored by S4C to look at the factors surrounding Welsh audiences’ changes in viewing habits. Carys Evans, Team Leader Data and Analysis says; "The way in which our viewers contact us has changed significantly, with growth in the numbers who watch S4C content on digital platforms. In 2015/16 there was a 46% increase in viewing S4C online. Therefore, it is important for us to understand how people choose to watch Welsh content and this research will contribute to that. " Shân Pritchard has received funding from Cwmni Da to evaluate the success of Welsh and bilingual digital apps and other digital materials. Shân PrichardShân explains; "Nowadays, almost all smart phones have the ability to download and use apps. These apps have become an integral part of the daily lives of their users, as apps have the ability to perform all kinds of tasks, such as socializing as well as for practical purposes. Furthermore, the introduction of Welsh and bilingual digital apps provide an additional opportunity to promote the use of the Welsh language within the daily lives of the people of Wales. Therefore, the purpose of this research, is to evaluate what makes a successful Welsh or bilingual app, especially for Cwmni Da’s audience. Through a coordinated effort with providers, we can expand the relevance of Welsh, and normalizing the use of the language within the digital world. " Phil Stead, Cwmni Da’s digital director said;"As more and more people communicate using various digital platforms, it is essential that the Welsh language is seen, and used as much as it is spoken. So that we are able to offer services and digital gadgets of quality, it is necessary that we understand our customers. 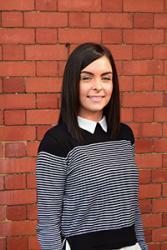 Shân’s research will help us to develop content and software that meets the needs of our users. " According to Dr Cynog Prys, Shân and Natalie’s PhD supervisor, working with both companies is extremely exciting; "Collaborating with Cwmni Da and S4C is very exciting because both companies at the forefront as we consider the development of digital materials for entertainment and education in Wales. It is very important that the language is part of the current technological revolution in order to ensure continuity of the Welsh language as a modern language that is relevant for the future. " How do you watch S4C and do you watch programs online or on various devices? Let us know your online habits in this questionnaire. Live in Gwynedd? Speak Welsh? Use apps? Tell us about your online habits! Both Natalie and Shân’s research scholarships are funded under the Knowledge Economy Skills Scholarships (KESS) Programme. KESS is a major European Convergence programme led by Bangor University on behalf of the HE sector in Wales. KESS II is part-funded by the Welsh Government’s European Social Fund (ESF) Convergence programme for West Wales and the Valleys, KESS II supports collaborative research projects (Research Masters and PhD) with external partners based in the Convergence area of Wales (West Wales and the Valleys). Both the Research Masters and PhD elements are integrated with a higher-level skills training programme, leading to a Postgraduate Skills Development Award. KESS 11 will run until 2022 and will provide 600+ PhD and Research Masters opportunities across Wales.